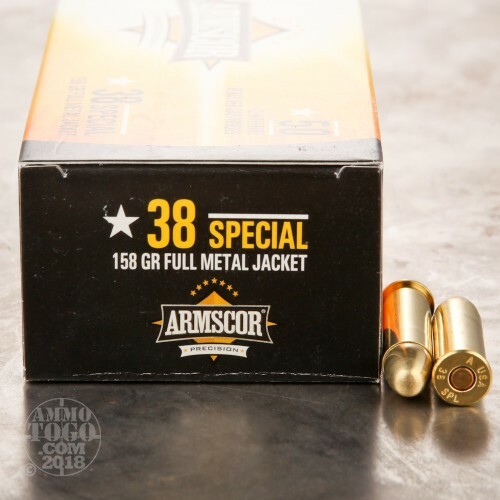 This .38 Special ammunition from Armscor delivers quality target shooting at a reasonable price and fires FMJ bullets suitable for ranges that do not allow lead round nose ammo. 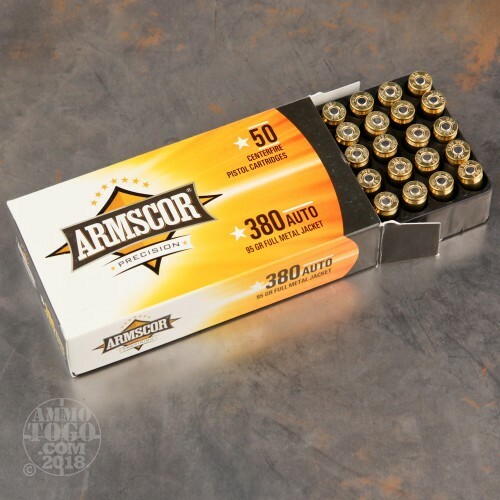 Each cartridge in this bulk priced case fires a heavy 158 grain bullet at 900 feet per second. This ammo can also be used in .357 Magnum revolvers as a lower-cost, lower-recoil alternative. 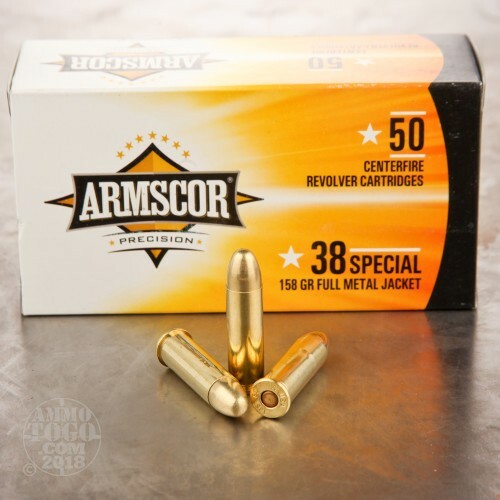 Armscor ammo is made in the USA and the Philippines and uses non-corrosive primers and reloadable brass cases.